Once restricted to dark alleys and smoky casinos, legalized (and highly profitable) sports betting may be on the rise in a big way across the United States. In 1992, the U.S. Professional and Amateur Sports Protection Act (PASPA) was signed into law – barring sports betting anywhere it was not already legal. In essence, this legislation restricted such gambling to Nevada and reservations exclusively. However, in May of 2018, the U.S. Supreme Court ruled that individual states should have the right to regulate sports bets for themselves, striking down PASPA and opening the door for a new era in American gambling. need a sports betting merchant account today? According to the U.N., the global market for sports betting may be as high as $3 trillion dollars. However, the U.S. is responsible for only a fraction of this massive figure, with Americans betting $149 billion on sporting events in 2015. The Supreme Court’s ruling will gradually boost this number. If you want to be a bookie with a physical address in the U.S., your biggest issue now is getting your state to legalize it. For anyone in a state where this form of betting is illegal and wants that to change, now’s the time to reach out to your state-level politicians. In this guide, we will cover everything you need to know about how to be a bookie – including the legality, business tips, and future trends, so you can gradually make your own way into this highly profitable industry. Where is it Legal to be a Bookie? 1. Where is Being a Bookie Legal? Once relegated primarily to Nevadan casinos, sportsbooks are expanding their reach. While the Supreme Court decision may seem to have opened the floodgates for sports gambling in the U.S., in reality it’s a bit more complicated. The legality of being a bookie depends on where you live and which laws and regulations apply to businesses in your state. Delaware became the first state to legalize sports gambling after the ruling this past May. Three casinos in Delaware have opened up sportsbooks, taking more than $7 million in bets over the first three weeks. In New Jersey, Governor Phil Murphy signed a bill legalizing sports betting this June (2018). The 30-day wait period is over, and gamblers are now allowed to place wagers on athletic competitions of all types. According to Legal Sports Report, however, New Jersey casinos don’t appear ready to meet the requirements set by the state’s Division of Gaming Enforcement. As of July 2018, Mississippi is on the cusp of legalizing sports betting. While 13 casinos have already applied to offer wagers on sports, many are still in the process of renovating their facilities to allow sports bets. Lawmakers in Pennsylvania have taken steps towards legalization, approving a series of regulations and licensing procedures. The West Virginia Lottery Commission has approved a list of rules for sports betting, but the state has not yet legalized the practice. At the time of writing, Nevada, Delaware, and New Jersey are the three states where sports betting is completely legal. However, Mississippi, Pennsylvania, and West Virginia are not far behind, and more states will likely follow suit in the future. 2. Can I Run My Own Online Sportsbook? Online sportsbooks come with their own variety of challenges. To skirt around sports betting regulations, many players have been using offshore casinos and sportsbooks over the years. This is largely due to the Unlawful Internet Gambling Enforcement Act of 2006 (UIGEA), which prohibits American gaming businesses and their associated banks from processing bets that are illegal under U.S. federal or state law (which includes games of chance, and wagers on the outcome of a contest or sports match). While the UIGEA places this restriction on bookies and tries to coerce international gambling websites into banning American customers, in reality this is much harder to regulate. So going completely offshore is the only real way to circumvent this law (and even then, it’s a bit sketchy). If you’re interested in running your own online sportsbook from within the U.S., you need to fully comply with UIGEA in order to remain a legitimate, legal business. As mentioned above, however, the majority of sportsbooks have moved offshore in order to avoid U.S. regulations. In this setup, you pay an established gambling company a set fee for each client that you have who places a bet on their website. In exchange for this fee, the company handles issues such as website administration and customer service, while you collect the profits. PPH services are perhaps the easiest way for new bookies to get started when resources are minimal. Examples of PPH companies include Ace Per Head and RealBookies. These companies operate in a legal gray area, often in foreign countries with lax gambling regulations. The business is registered and licensed in a jurisdiction such as Central America or the Caribbean, while accepting bets from clients all over the world. This allows them to avoid prohibitive laws such as UIGEA and greatly expand your customer base. Examples of offshore sportsbooks include Bovada (operating in Canada) and YouWager (based in Costa Rica). These companies are fully legal and licensed to operate in their jurisdiction. If you live in the U.S., this means that you’ll need to establish your business in a state where sports betting is legal, and only serve customers who live in those states as well. While this has the unfortunate effect of restricting your customer base, it also ensures that the authorities won’t suddenly shut down your website. One example of a licensed sportsbook is Station Casinos’ STN Sports mobile betting app, which can be used by anyone inside the state of Nevada. Big sporting events always involve large volumes of betting, especially horse races. Being a bookie can be extremely lucrative, but it also requires an entrepreneurial spirit, and it’s not for the faint-hearted. Similar to how avid readers don’t necessarily make great writers, enjoying gambling isn’t sufficient (or even necessary) to become a bookie. It’s important to remember that first and foremost, you’re a business owner. Of course, bookies need to be familiar with the ins and outs of the gambling industry, but equally important is having a keen business sense and a talent for self-promotion. This will likely be the biggest hurdle you face when starting out. In general, the more bets that you accept, the more money you make. If possible, start small with friends and family, and then grow your business naturally through referrals. Try finding potential customers by using online forums. A popular one you could try starting on is Reddit. Having clients who come back to you again and again isn’t just a sign of customer satisfaction; it’s reinforcement that you’re running your business effectively. Once you’ve built stronger relationships with your customer base, things will start to click into place. Your personal knowledge of which sports they enjoy, the kind of bets they prefer, and how much they typically wager are all details that will help you grow your business. Be aware of them! In turn, this knowledge can help you understand the types of services you should offer in the future, and how to create a personalized experience for each player. They don’t call you a “bookie” for nothing. Sports betting is an inherently high-risk business, and keeping track of your finances is essential if you want to keep your acquiring bank happy and your company afloat. In particular, you need to know how much money you have set aside for growth and marketing, as well detailed records of outstanding payments and collections. Staying organized is more important in this industry than most. 4. 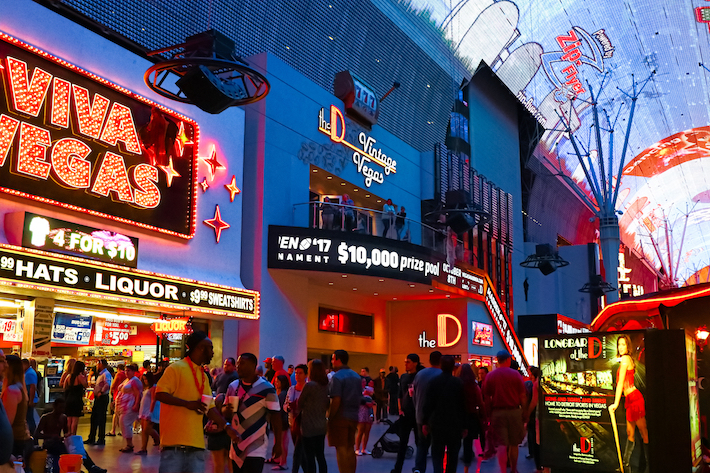 The Future of Sportsbooks in the U.S.
Will we see more neon sin cities like Las Vegas in the future? While only a small handful of states have legalized sports betting thus far, that is expected to change in a big way over the next several years. Gaming research firm Eilers & Krejcik projects that 32 states will legalize sports betting by 2024, with 14 of those states likely to legalize it in the next two years alone. Reactions of the four major American sports leagues—the NFL, NBA, MLB, and NHL—will be critical to understand how the rollout of sports gambling will unfold across the country. The NBA and MLB have already made requests for an “integrity fee,” such as a 1 percent cut of all wagers, in order to protect their leagues from corruption and match fixing. Even the NFL, which hasn’t yet mentioned the “integrity fee” buzzword, has suggested that it deserves a small share on the basis of intellectual property and content creation. In the meantime, as sports betting sees greater traction across the country, the fan experience will likely change as well. The average viewer should soon be able to go to a sports bar, have a beer with their friends, and place bets on the outcome at the same time thanks to to the betting you (and your competitors) facilitate online. Mobile gambling is also expected to spike as a result of PASPA’s demise. Placing bets from your smartphone while you watch the game in real time, whether that’s on your couch or even in the stands, will likely become the norm for many sports fans interested in throwing down wagers. Although legalizing sports betting will place illegal operations under greater scrutiny, “illegal” bookies aren’t likely to disappear anytime soon. This is mainly for three reasons: the convenience and anonymity that illegal betting offers, the long-term relationships that bookies have built with their clients, and the ability to escape paying taxes on your winnings. Regardless, the future is looking bright for anyone interested in running a legit, legal operation somewhere down the road. With PASPA recently being struck down by the U.S. Supreme Court, sports betting in the America is in a transitionary phase. Savvy bookies who run their businesses well will be able to thrive in this new landscape, but there are still legitimate risks involved for anyone operating a sportsbook; regardless of where you’re located. Naturally, the most important ability for any bookie is to pay their clients (and get paid) efficiently and on time. However, many payment processors are leery of doing business with high-risk industries. If you’re running an online sportsbook, make sure you have a credit card processor that’s willing to work with you, and who understands the nuances of your industry. Ready dive into the world of online sports betting, and need a merchant account to get things going? Feel free to set up an appointment with Motile’s team of processing experts – we’d be happy to speak with you about payment processing solutions to get your sportsbook online and operational. Geoff Scott is a Payments Consultant for Motile LLC, where he strives to connect users across the internet with processing solutions for their small businesses. He also loves Thai food, craft beer, and an exhilarating game of squash (when he's off the clock, of course).